Make sure that your business establishment remains cool by ensuring that your HVAC units are in top condition. For various repairs and installations, rely on our trusted HVAC service company. R. A. M. M., Inc. offers commercial HVAC construction, maintenance, and more. 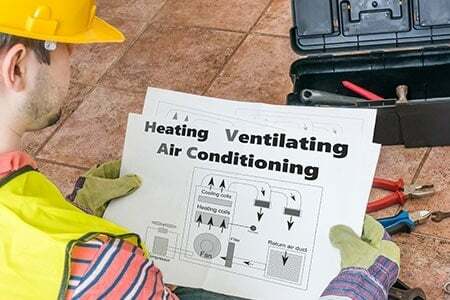 Our HVAC specialists cater to the requests of business owners in West Conshohocken, PA and surrounding areas. Why Trust Our HVAC Service Company? We are a bonded and insured HVAC service company. We ensure that we meet schedules and deadlines without compromising the quality of our outputs. 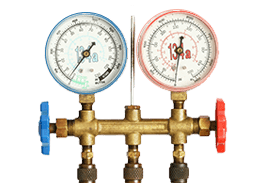 We have been providing exceptional HVAC services for more than 30 years. We have earned our previous clients’ loyalty because of the quality of our work. We provide 24/7 HVAC emergency services. We are a proud member of the Subcontractor's Association of the Delaware Valley (SADV), the United Association of Steamfitters of Philadelphia (Local Union 420), and the National Mechanical Services Contractors of America (MSCA). Take 476 South to the Philadelphia/Valley Forge Exit 16. Stay to the right. You will pass the Philadelphia and Valley Forge “on” ramps. Follow the sign for Conshohocken/Route 23. At the bottom of the ramp, go straight at the traffic light up Dehaven Street. At the top of Dehaven, turn right onto New Dehaven Street. Follow New Dehaven, making a left onto Union Hill Road. NOTE: Trucks are not allowed up Dehaven – Trucks must make a right at the 476 off-ramp onto Matsonford Road, then make the first left then a quick left onto (New Dehaven Street) go up the hill turn right on first road (Union Hill Road). Take 476 North to the Conshohocken exit. At the bottom of the ramp, turn left at the traffic light, take the first right, then a quick left onto New Dehaven Street, go up the hill, then turn right on first road (Union Hill Road). Take 76 East to the Conshohocken exit. At the bottom of the ramp turn left at traffic light, take the first right then a quick left onto (New Dehaven Street) go up the hill turn right on first road (Union Hill Road). Take 76 West to the Conshohocken exit. At the bottom of the ramp, make a left at the traffic light onto Route 23. At the next traffic light, turn left onto William Street. Follow William Street and make a right onto Ford Street. Follow Ford straight up the hill. Ford becomes New Dehaven Street under the 476 overpass. Turn right onto Union Hill Road. Should you have HVAC requirements, don’t hesitate to get in touch. For more information about us and the services we offer, give us a ring. We always keep our line open for your HVAC emergencies and queries. When it comes to high-quality installations and repairs, rely on our HVAC service company.